Creamy salmon soup with new homemade bread and butter. 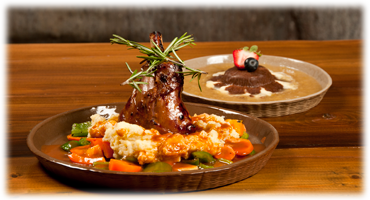 Slow-cooked lamb, served with potato mash, root vegetables and red wine glace. Baked trout with almonds, served with fresh potatos, parsley and white wine butter sauce.